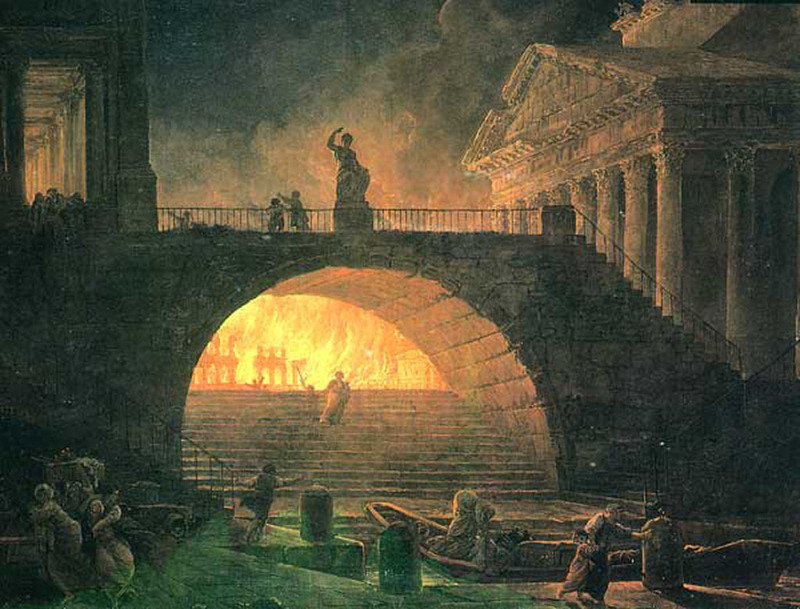 Today marks the anniversary of the beginning of the Great Fire of Rome. The origins of the fire and its course have been the subject of considerable controversy because there were only two eye witnesses who have written anything about it: the historian Tacitus, who was 9 years old at the time, and Pliny the Elder who mentions it in passing (using it merely as a benchmark to indicate the age of some trees). The account by Tacitus is riveting and detailed but archeology has not entirely borne out his account, and there has to be a question, given his age at the time, concerning the degree to which what he writes is based on what he saw versus what others saw and he heard about. Clearly his account is drawn from other eyewitnesses, probably in the main. All other accounts of the fire were written by people who were not there at the time, and in many key points conflict with Tacitus. 38 There followed a disaster, whether due to chance or to the malice of the sovereign (Nero) is uncertain — for each version has its sponsors — but graver and more terrible than any other which has befallen this city by the ravages of fire. It took its rise in the part of the Circus touching the Palatine and Caelian Hills; where, among the shops packed with inflammable goods, the conflagration broke out, gathered strength in the same moment, and, impelled by the wind, swept the full length of the Circus: for there were neither mansions screened by boundary walls, nor temples surrounded by stone enclosures, nor obstructions of any description, to bar its progress. The flames, which in full career overran the level districts first, then shot up to the heights, and sank again to harry the lower parts, kept ahead of all remedial measures, the mischief travelling fast, and the town being an easy prey owing to the narrow, twisting lanes and formless streets typical of old Rome. In addition, shrieking and terrified women; fugitives stricken or immature in years; men consulting their own safety or the safety of others, as they dragged the infirm along or paused to wait for them, combined by their dilatoriness or their haste to impede everything. 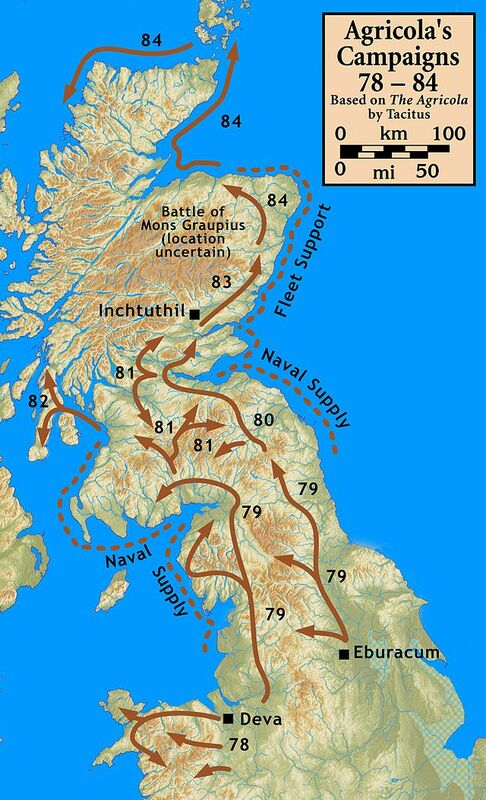 Often, while they glanced back to the rear, they were attacked on the flanks or in front; or, if they had made their escape into a neighboring quarter, that also was involved in the flames, and even districts which they had believed remote from danger were found to be in the same plight. At last, irresolute what to avoid or what to seek, they crowded into the roads or threw themselves down in the fields: some who had lost the whole of their means — their daily bread included — chose to die, though the way of escape was open, and were followed by others, through love for the relatives whom they had proved unable to rescue. 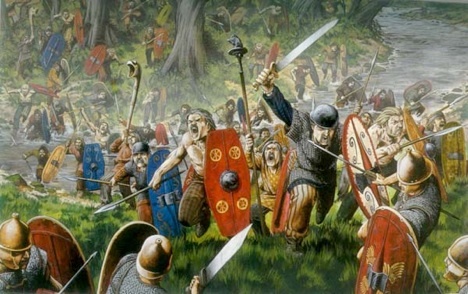 None ventured to combat the fire, as there were reiterated threats from a large number of persons who forbade extinction, and others were openly throwing firebrands and shouting that “they had their authority” — possibly in order to have a freer hand in looting, possibly from orders received. 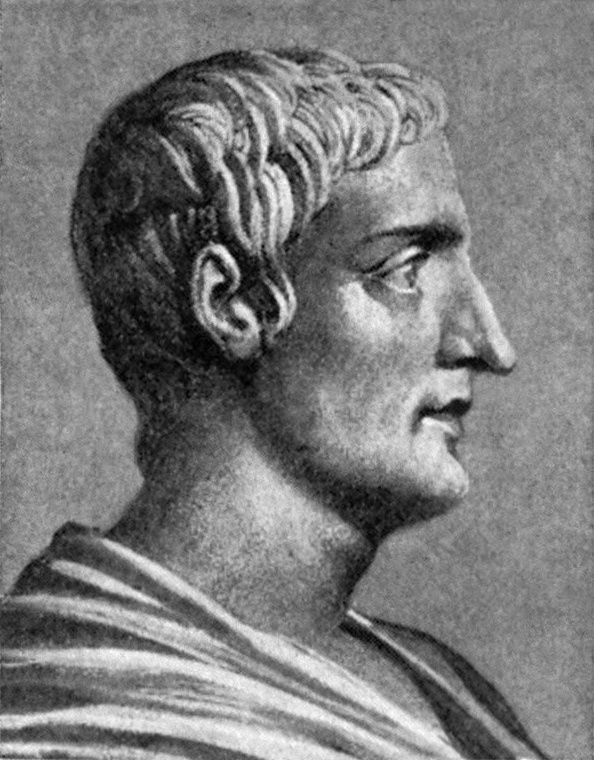 39 Nero, who at the time was staying in Antium, did not return to the capital until the fire was nearing the house by which he had connected the Palatine with the Gardens of Maecenas. It proved impossible, however, to stop it from engulfing both the Palatine and the house and all their surroundings. Still, as a relief to the homeless and fugitive populace, he opened the Campus Martius, the buildings of Agrippa, even his own Gardens, and threw up a number of extemporized shelters to accommodate the helpless multitude. The necessities of life were brought up from Ostia and the neighboring municipalities, and the price of grain was lowered to three sesterces. Yet his measures, popular as their character might be, failed of their effect; for the report had spread that, at the very moment when Rome was aflame, he had mounted his private stage, and typifying the ills of the present by the calamities of the past, had sung the destruction of Troy. 40 Only on the sixth day, was the conflagration brought to an end at the foot of the Esquiline, by demolishing the buildings over a vast area and opposing to the unabated fury of the flames a clear tract of ground and an open horizon. But fear had not yet been laid aside, nor had hope yet returned to the people, when the fire resumed its ravages; in the less congested parts of the city, however; so that, while the toll of human life was not so great, the destruction of temples and of porticoes dedicated to pleasure was on a wider scale. 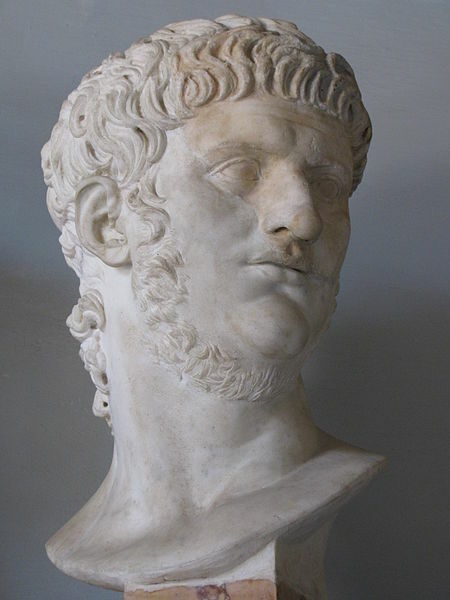 The second fire produced the greater scandal of the two, as it had broken out on Aemilian property of Tigellinus and appearances suggested that Nero was seeking the glory of founding a new capital and endowing it with his own name. Rome, in fact, is divided into fourteen regions, of which four remained intact, while three were laid level with the ground: in the other seven nothing survived but a few dilapidated and half-burned relics of houses. 41 It would not be easy to attempt an estimate of the private dwellings, tenement-blocks, and temples, which were lost; but the flames consumed, in their old-world sanctity, the great altar and chapel of the Arcadian Evander to the Present Hercules, the shrine of Jupiter Stator vowed by Romulus, the Palace of Numa, and the holy place of Vesta with the Penates of the Roman people. To these must be added the precious trophies won upon so many fields, the glories of Greek art, and yet again the primitive and uncorrupted memorials of literary genius; so that, despite the striking beauty of the re-arisen city, the older generation recollects much that it proved impossible to replace. 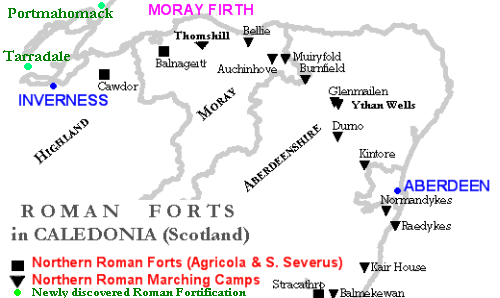 There were those who noted that the first outbreak of the fire took place on the nineteenth of July, the anniversary of the capture and burning of Rome by the Senones: others have pushed their researches so far as to resolve the interval between the two fires into equal numbers of years, of months, and of days. 42 However, Nero turned to account the ruins of his fatherland by building a palace, the marvels of which were to consist not so much in gems and gold, materials long familiar and vulgarized by luxury, as in fields and lakes and the air of solitude given by wooded ground alternating with clear tracts and open landscapes. The architects and engineers were Severus and Celer, who had the ingenuity and the courage to try the force of art even against the veto of nature and to fritter away the resources of a Caesar. They had undertaken to sink a navigable canal running from Lake Avernus to the mouths of the Tiber along a desolate shore or through intervening hills; for the one district along the route moist enough to yield a supply of water is the Pomptine Marsh; the rest being cliff and sand, which could be cut through, if at all, only by intolerable exertions for which no sufficient motive existed. Nonetheless, Nero, with his passion for the incredible, made an effort to tunnel the height nearest the Avernus, and some evidences of that futile ambition survive. 43 In the capital, however, the districts spared by the palace were rebuilt, not, as after the Gallic fire, indiscriminately and piecemeal, but in measured lines of streets, with broad thoroughfares, buildings of restricted height, and open spaces, while colonnades were added as a protection to the front of the tenement-blocks. These colonnades Nero offered to erect at his own expense, and also to hand over the building-sites, clear of rubbish, to the owners. He made a further offer of rewards, proportioned to the rank and resources of the various claimants, and fixed a term within which houses or blocks of tenement must be completed, if the bounty was to be secured. As the receptacle of the refuse he settled upon the Ostian Marshes, and gave orders that vessels which had carried grain up the Tiber must run down-stream laden with débris. 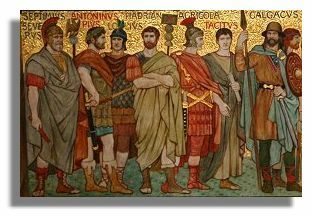 The buildings themselves, to an extent definitely specified, were to be solid, untimbered structures of Gabine or Alban stone, that particular stone being proof against fire. Again, there was to be a guard to ensure that the water-supply — intercepted by private lawlessness — should be available for public purposes in greater quantities and at more points; appliances for checking fire were to be kept by everyone in the open; there were to be no joint partitions between buildings, but each was to be surrounded by its own walls. These reforms, welcomed for their utility, were also beneficial to the appearance of the new capital. Still, there were those who held that the old form had been the more salubrious, as the narrow streets and high-built houses were not so easily penetrated by the rays of the sun; while now the broad expanses, with no protecting shadows, glowed under a more oppressive heat. To my mind Tacitus is being fairly even handed here towards Nero, and has clearly done his homework about the course of the fire and its aftermath. He points out, for example, that Nero opened up his own lands for the homeless and organized shelters for them, quickly brought in food supplies, and kept the price of wheat low so that people could eat. Yet Tacitus also acknowledges that many people thought Nero started the fire in order to remodel the city featuring a gigantic palace and estate for his own pleasure. He is skeptical about Nero “fiddling while Rome burned” (it would have been the lyre), and seems to believe that the rebuilt city is more glorious than the old one, whilst acknowledging that some older people preferred the way it used to be. I find it a most compelling and complex account. We know a fair bit about classical Roman foodways from multiple descriptions of meals, banquets, and so forth in contemporary writings. 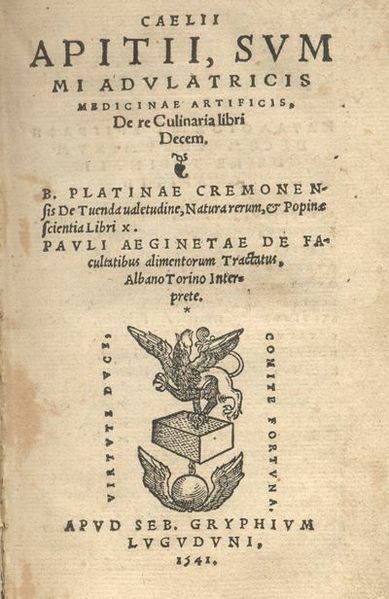 We even have a cookbook, of sorts, from the late empire (4th to 5th century), De Re Coquinaria (“On the Subject of Cooking”) by an anonymous author given the pseudonym Caelius Apicius. The recipes are very short and not enough in themselves to reconstruct the original. IX. 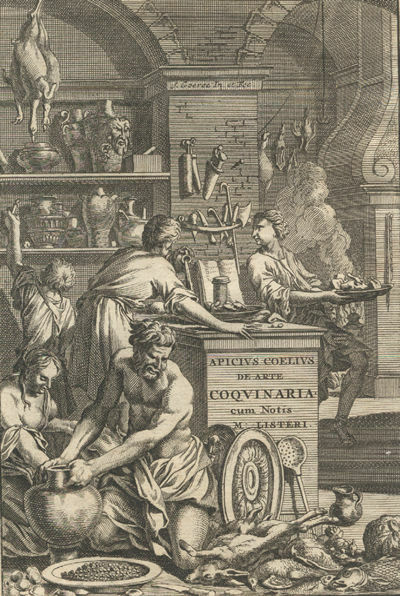 In mitulis: liquamen, porrum concisum, cuminum, passum, satureiam, vinum, mixtum facies aquatius et ibi mitulos coques. 9. Mussels: liquamen, chopped leeks, cumin, passum, savory, wine. Dilute the mixture with water, and boil the mussels in it. This reminds me an awful lot of the classic French Mediterranean dish moules marinières, so I think it is easy enough to make something of it along those lines. Two ingredients need explaining. Liquamen was a ubiquitous seasoning. It was a sauce made from fermented fish, and was used primarily for its salt content. You’ll see it in Apicius as often as salt in modern recipes. As a substitute you can use a SE Asian fish sauce such as the Vietnamese n? ?c m?m (nuoc-mam). If you have nothing else you can just use salt to taste without great harm done. Passum was a sweet white wine, a variety of which, vino santo, is still produced in Italy. The cumin adds a surprising twist to a classic dish. 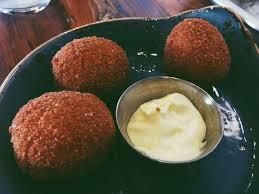 I prefer to eat this dish with my fingers as the Romans would have done. One useful tip is to eat the mussel from a nice springy shell and then use the empty shell like tweezers to remove the meat from the others. Use bread like a sponge to sop up the sauce. Wash the mussels in plenty of cold water. Scrape away any barnacles with a short-bladed knife as best you can without damaging the shell. Pull off all the beards and wash the mussels again. Discard any that are open and do not close when tapped sharply. Take a large lidded pot that is big enough to hold all the mussels. Add the mussels, liquids, leek, cumin, and half the savory, and set over high heat, tightly covered. 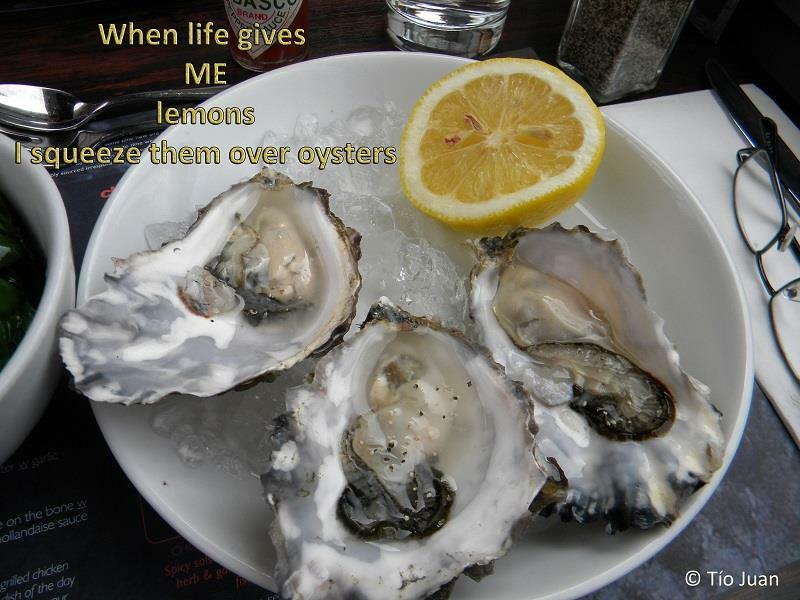 Turn the mussels over every now and then as they start to open. Keep the lid on the pot in between turning them. When they are all open, remove the pot from the heat and leave for 30 seconds or so to let all the grit settle. Scoop out the mussels with a slotted spoon and divide them between four large, deep soup plates. Pour all the juices from the pan over the mussels, but pour gently and stop before the last tablespoon, which will be gritty. Sprinkle the rest of the chopped savory over the mussels and serve. Good crusty bread is a must. The Romans ate sourdough bread made with a mix of two different flours.